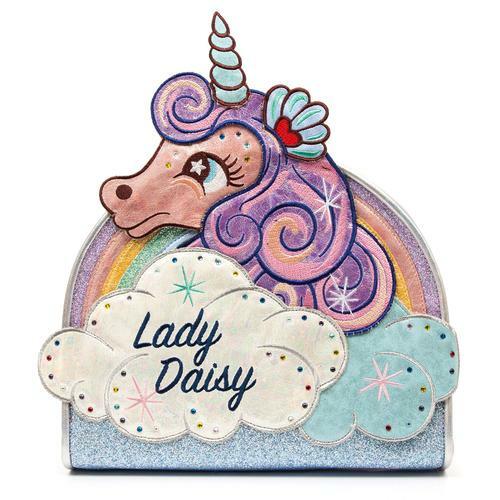 Irregular Choice brings us another cute retro style handbag in the Le Cafe Du Chat bag! This amazing bag is styled like a cute cat cafe complete with roof and sparkly windows. Le Cafe Du Chat features a metallic pink upper with an applique embroidered kitty cat, embroidered windows hosting an array of colourful desserts complete with fabric blue bows and white iridescent glitter and a three tiered roof made from iridescent fabric, cut out hearts filled with glitter and magic and faux pearls. 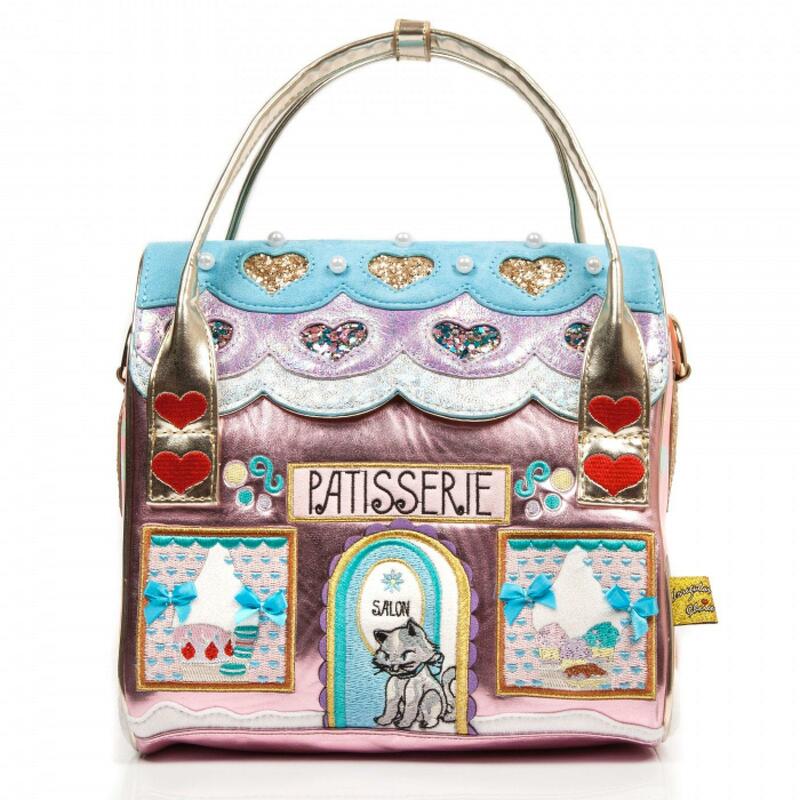 The bag has shiny gold handles with embroidered hearts, glitter hearts on the side, fluffly white material and a sweet and colourful macaron print on the sides that's an Irregular Choice classic. Le Cafe Du Chat also has a reversible and detachable longer bag strap and this handbag snap fastens with a fold over and has a gold zip inside so your treasures won't fall out. 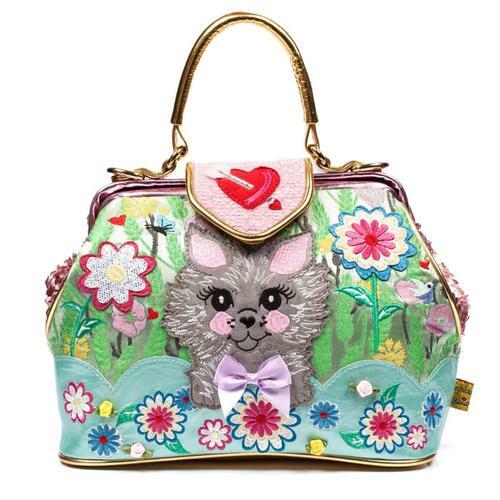 This adorable retro Le Cafe Du Chat Irregular Choice handbag is the purrrrfect accessory to any outfit. Le Cafe Du Chat retro cat cafe handbag from Irregular Choice. Adorable embroidered kitty in the doorway with gold metallic thread and fabric scalloping. Embroidered windows of desserts with gold thread, blue fabric bows and white iridescent glitter. Three tiered roof made from iridescent fabric, glitter and faux pearls. Snap closure with gold zip underneath. gold handles with heart embroidery. Sides in a macaron print with glitter hearts and furry material. 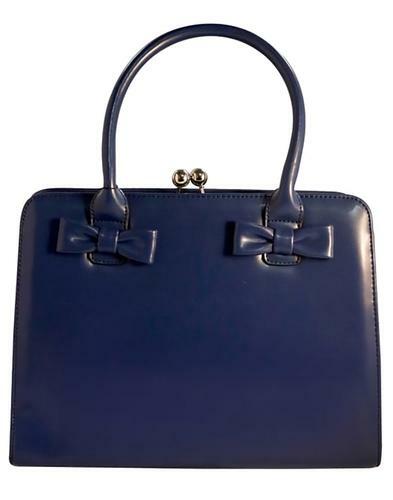 Detachable and reversible bag strap. 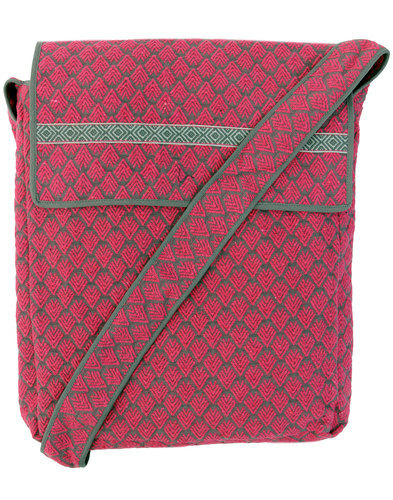 Fully lined with metallic fabric and inside pocket. detachable yellow fancy macaron charm attatched to the handle. 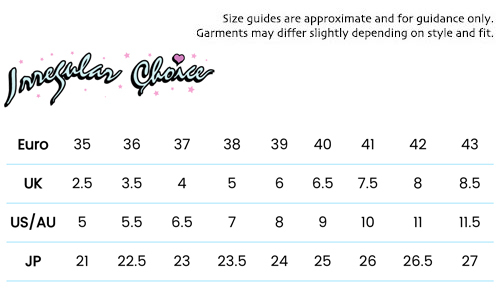 Dimensions: 25cm x 25cm x 15cm approx.